Discussion in 'Plumbing Codes' started by north star, Mar 12, 2018.
there are Trap Primers installed. high security vault, 11' x 9' sq. ft., plus a Floor Drain. from drying out [ RE: `12 IPC, Section 1002.4 ] ? trap seals ever dry out ? the trap seals protected ? I am curious as to how others are addressing this Code requirement. The seal will dry out. Trap Gaurd is how we handle it. An old way of dealing with a floor drain that was installed as emergency only was to pour vegetable oil within but this was when workers stayed with a job for most of there career and took pride in the job & maintenance. While the IPC provides a few options for maintaining a water seal, at an older Town Hall I once worked in we simply told the janitor to use more water when washing the bathroom floors to insure the trap stayed full. Question #1 then 3: Yes. Trap primers. I noticed that janitors are using Swiffer instead of a mop and a bucket of water. No wonder why these rooms smell so bad. Love you guys, so much knowledge shared but not always transmitted. Section 1002.4 has been expanded to cover two additional types of trap seal protection devices and to distinguish between the different types of water-supplied trap seal protection devices. The latest trap seal protection device is for floor drains only and utilizes a specially designed and tested insert below the floor drain strainer plate. 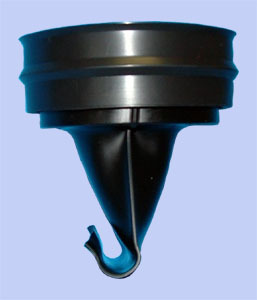 When water runs into the floor drain, the insert allows the water to pass and then closes to significantly reduce evaporation of the trap seal. 1002.4.1 Trap Seal Protection. Trap seals of emergency floor drain traps and traps subject to evaporation shall be protected by one of the methods in Sections 1002.4.1.1 through 1002.4.1.4. 1002.4.1.1 Potable Water Supplied Trap Seal Primer Valve. A potable water supplied trap seal primer valve shall supply water to the trap. Water supplied trap seal primer valves shall conform to ASSE 1018. The discharge pipe from the trap seal primer valve shall connect to the trap above the trap seal on the inlet side of the trap. 1002.4.1.2 Reclaimed or Gray Water Supplied Trap Seal Primer Valve. A reclaimed or gray water supplied trap seal primer valve shall supply water to the trap. Water supplied trap seal primer valves shall conform to ASSE 1018. The quality of reclaimed or gray water supplied to trap seal primer valves shall be in accordance with the requirements of the manufacturer of the trap seal primer valve. The discharge pipe from the trap seal primer valve shall connect to the trap above the trap seal on the inlet side of the trap. 1002.4.1.3 Waste Water Supplied Trap Primer Device. 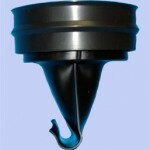 A waste water supplied trap primer device shall supply water to the trap. Waste water supplied trap primer devices shall conform to ASSE 1044. The discharge pipe from the trap seal primer device shall connect to the trap above the trap seal on the inlet side of the trap. 1002.4.1.4 Barrier Type Trap Seal Protection Device. A barrier type trap seal protection device shall protect the floor drain trap seal from evaporation. Barrier type floor drain trap seal protection devices shall conform to ASSE 1072. The devices shall be installed in accordance with the manufacturer’s instructions. Same here in all cases where they have maintenance personnel.